Anti-lock Braking System (ABS) is a safety feature that has become very common in automobiles. This feature prevents the tyres from locking up and skidding in case of sudden braking. It helps maintain the control over the steering and helps the tyres keep a tractive contact with the road, in order to prevent skidding. ABS is also called as Anti-skid Braking System due to its function and is meant for the driver to maintain steering ability. Cars with ABS get stopped quicker on wet and slippery roads, as compared to those without ABS. Cars without ABS are difficult to control when sudden brakes are applied, especially on slippery surfaces, and skid as a result, which can prove to be very deadly. Honda WR-V ticks all the right boxes due to its design, practicality, features and performance. Its high ground clearance, great ride quality and unique new looks make this compact SUV a worthy opponent in its segment. As for safety features, WR-V comes with ABS with EBD as a standard safety feature across all its variants, along with a long list of other safety features. More Honda cars with ABS. 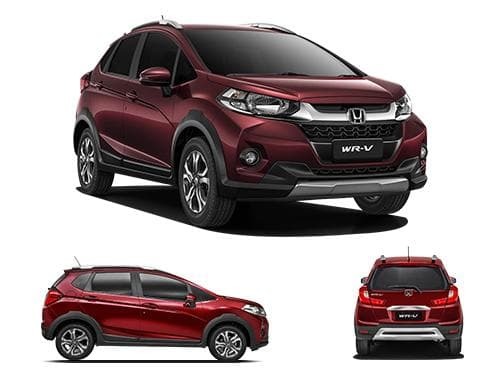 The variants of Honda WR-V that offer abs as standard include Edge Edition Diesel, Edge Edition Petrol, Exclusive Edition Diesel, Exclusive Edition Petrol, S Diesel, S MT Alive Edition Diesel, S MT Alive Edition Petrol, S Petrol, VX Diesel, VX Petrol.